We can provide Floor plans with varying levels of detail – from simple walls, columns, doors and window surveys, to a fully detailed data set including all 3D information (sill & head heights, stair riser and going details, door heights, ceiling heights, beam details etc.). As part of our measured surveys, the surveyors can also pick up and highlight other information such as any electrical and data points, sanitary fittings, incoming mains positions, plant, fire fighting and detection equipment, security equipment and signage. Measured Drawings CheckMany times, plans exist but their accuracy is in doubt or change management has been poor, we can carry out aÂ check survey, this can be a very cost effective way to bring the existing plans up to date.From yours or your clients existing drawings, we are able to compare distances on the drawing with dimensions taken on site and produce a report indicating where any inaccuracies lie. Mobile CAD Surveying can report on percentage variation between existing drawing and situation on the ground as well as any changes in the buildings layout. It has been a busy six months since we launched our site as a way of providing all the facts about our Measured Building Surveys and Floor Plan Services all in one place and make it easier for our clients and customers to find what they are looking for, and our initial thoughts have proved correct and the site has been very busy and has lead to us winning some lucrative contracts and working on some great projects, some of which can be seen on our Floor Plan and Elevations pages. So thanks to our recent customers for that. If you need a measured building survey or even several measured building surveys or a measured building surveyor,Â you have come to the right place. If time is of the essence, or clients time constraints are limited on site, we can accomodate you. Whether your survey project is large or small, a single house plan of a few square metres up to thousands of square metres or several house plans or building plans, we can meet your requirements. 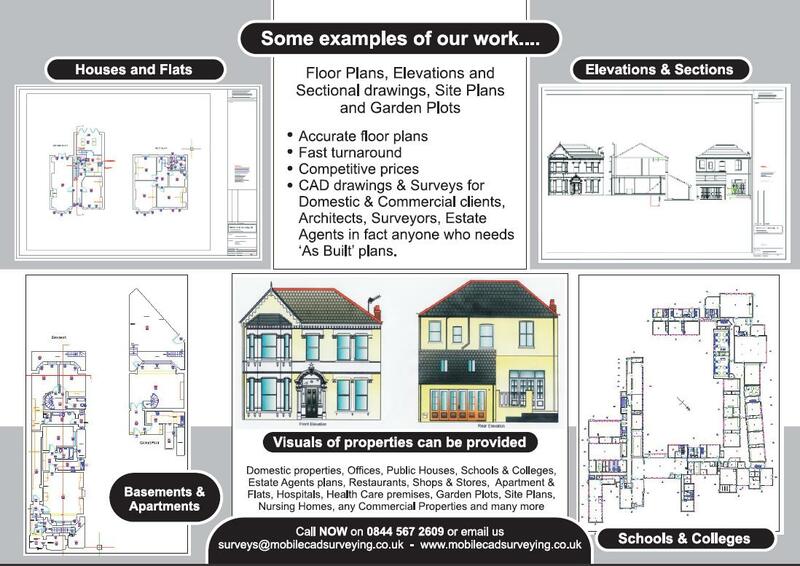 We have vast experience of Measured Building Surveys, floor plans and elevational drawings, Lease Plans and everything from private homes and domestic premises, apartment blocks, and flats, to churches, embassies, supermarkets and shopping malls and have carried out measured survey programmes encompassing hundreds of properties.Â A schedule can be drawn up to suit you! Floor Plans can be for many different reasons, for more information see our Measured Surveys page. SiteMaster Building – for daily use – 100 million square meters of Building Surveys cannot be wrong! Sitemaster Building 4.1 software for fast, accurate, floor plans and Measured Building Surveys in real time, carried out On Site with NO mistakes and NO return visits to site. SiteMaster BuildingTS contains the same features as SiteMaster Building and offers a direct link to a Total Station. Through the combination of hand laser meters and Total Stations the working process is optimised when doing building surveys. Survey for example the outside surface of a building with a Total Station and the inside building survey with a Laser Measure. You are creating the complete drawing on-site minimising the risk of producing any errors. The system allows you make corrections on-site. A library allows to draw fast and accurate walls (as single or double line), windows, doors and symbols. You can draw rectangular and circular columns, Recesses/chimneys and niches/ducts. SiteMaster BuildingTS offers you more than 250 CAD and numerous editing commands. The program features associative dimensioning and room area calculation. AutoCAD compatible drawing symbols blocks can be used. The Visual Symbol Manager lets you insert symbols ? as-measured, referenced or free in the drawing. You can export Excel-compatible .csv files with room/area lists and room schedule reports/symbol lists. The Check Distance function lets you compare Â»as-builtÂ« distances to plan distances and record this comparison. Experienced power users can use the visual Desktop, Menu and Toolbar Editor (DME2) and Lisp and/or C++ programming APIs to customize and extend the program. The combination: Laser Measures and Total Stations in SiteMaster BuildingTS optimises the working process when doing large or complicated building surveys. Survey for example the outside surface of a building with a Total Station and the inside with a Laser Measure. You create the complete drawing on-site, any errors shown allows you the opportunity to make corrections there and then.